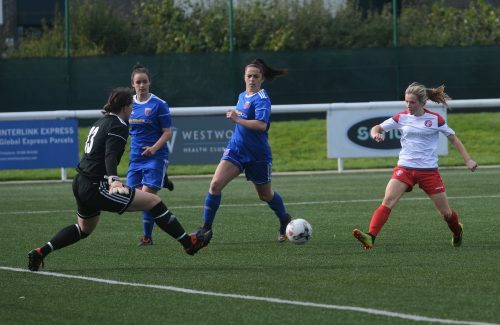 Having picked up seven points from their last three games together with a impressive win over Celtic to earn a Scottish Cup semi final spot, Debbi McCulloch’s side went into the game knowing a win would all but guarantee a place at the top table next season. The visitors visited the capital on the back of a four match losing streak and clearly looking to dent the hosts enthusiasm. 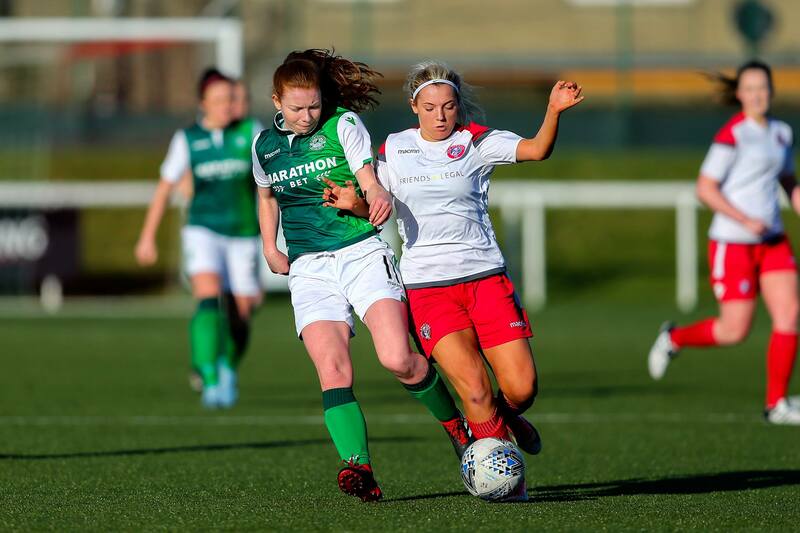 In the squad were Kaela McDonald and Elana Santoyo-Brown who earned a call-up to the Scotland u19s whilst fellow member Michaela McAlonie cheered on from the treatment table. With plenty at stake, Spartans took the game to Forfar from the off. Becky Galbraith was first to test the visitors following a pin-point cross from Santoyo-Brown whilst the striker was flagged offside when she got onto an Alana Marshall free-kick minutes later. There was an air of inevitability surrounding an opening goal and it came in the 25th minute. Excellent exchanges between Marshall and McGonigle saw a cross whipped in for Galbraith to show bravery to nip in and tuck the ball home at the near post. Rachel Harrison was to be the quieter of keepers throughout the afternoon however she had to look lively to leap and scoop a dangerous cross to safety on the half hour mark. Five minutes before the break, the half time team talks took a different tact as Spartans doubled their lead. McDonald latching on to the defence splitting through ball from Tara McGonigle before showing great composure before slamming home. The half time pies had barely been digested before there was further light between the sides as Spartans made it three. McGonigle shrugged off the attentions of a Forfar defender before slipping the ball beyond the advancing keeper to cue further celebrations from the home support. Shortly after, the game was put beyond any reasonable doubt – and in some style too. Elena Santoyo-Brown progressed to the edge of the box and unleashed a simply unstoppable shot that meant the only thing the goalie could do, was to pick the ball out of the net. 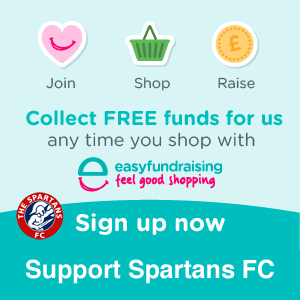 Spartans were then awarded a penalty kick as Galbraith was upended by the keeper as she attempted to beat the Forfar stopper to convert Santoyo-Brown’s low cross. Alana Marshall stepped up and slammed the spot kick home. McDonald was unlucky not to extend her contribution on two occasions when her long range free kicks hit the bar and landed on the wrong side of the roof of the net. The final goal of the game perhaps without the panache of Brown but effective all the same. Marshall’s corner was missed by McDonald however the ball cannoned off Dion McMahon and found its way between the melee of bodies and into the goal. With results elsewhere going Debbi McCulloch’s side’s way, Spartans had their confirmation of SWPL 1 status for next year. 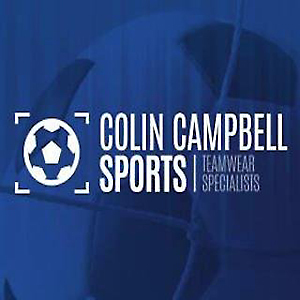 Next up for the Ainslie Park outfit is a Scottish Cup Semi Final tie against Motherwell at Forthbank Stadium on Sunday 14th October with a 3pm KO.